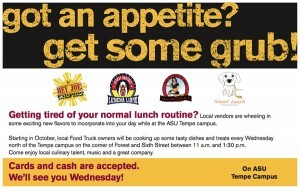 Local vendors are wheeling in some exciting new flavors to incorporate into your day while at the ASU Tempe campus. 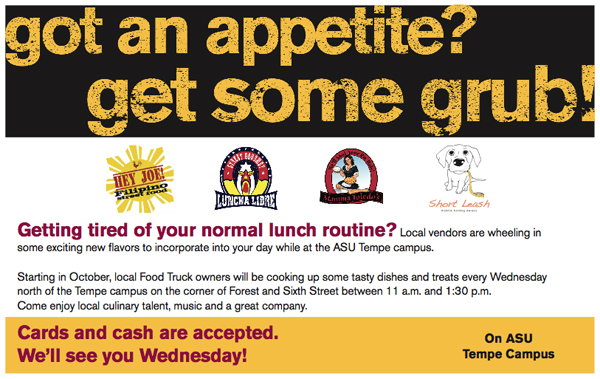 Starting October 3, local food truck owners will be cooking up some tasty dishes and treats every Wednesday north of the Tempe campus on the corner of Forest and Sixth Street between 11 a.m. and 1:30 p.m. Come enjoy local culinary talent, music and a great company. 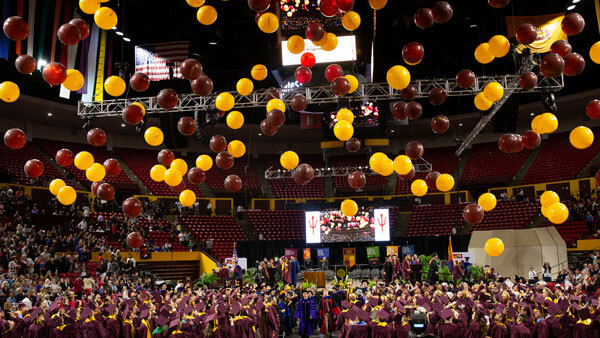 Cards and cash are accepted.